200 Free Kids Educational Resources - This site offers 200 free resources that are available to kids today. With topics of free books, video lessons, art, geography, history, etc. kids have access to so many resources that are free on the web and targeted just for them. This site has it all from math game websites, to introduction to Jazz for kids. There are a lot of fun educational resources on this page. Teachers, this is a great site to also find some fascinating ideas to incorporate into the classroom. Parents as well could visit these sites with their children to keep them learning at home over summer break. BrainPOP - BrainPOP creates animated resources that support educators and engage students - in school, at home, and on mobile devices. Our content includes movies, quizzes, games, mobile apps, activity pages, and much more covering hundreds of topics within Math, Science, Social Studies, English, Technology, Arts & Music, and Health. All content is aligned to and searchable by state standards including Common Core. 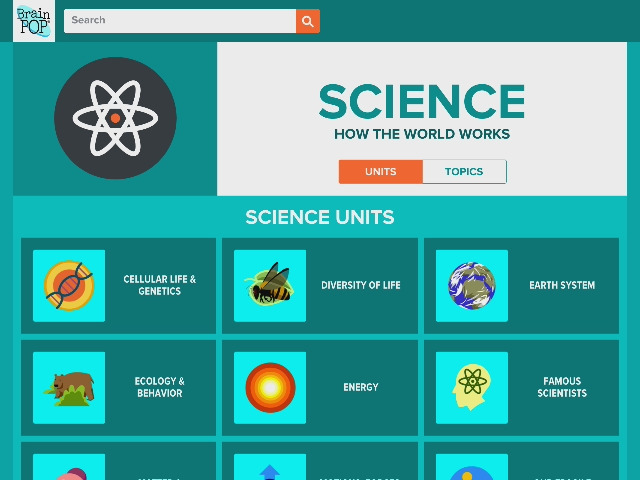 BrainPOP is a free resource for teachers and students a like. Children can go on and play content related games and be learning while having fun. Students and parents have access also to a free summer education to keep students brains sharp through the summer months. CK-12 Brain Flex gives students 8 weeks of math and science learning to keep their brains sharp when they're out of the classroom. A free summer learning program is hard to come by and CK-12 has found a way to offer it to everyone, anywhere. ​Epic! - Epic! is the Leading Digital Library for Kids 12 & Under. Instantly access 25,000 of the best children's books, learning videos, quizzes & more. Fact Monster - FactMonster is free-to-use and sponsored by the Family Education Network, also known as FEN Learning. FactMonster provides information on a variety of topics. Kids can take quizzes, play games, watch educational videos, and use reference tools such as a dictionary, an atlas, timelines, the periodic table, and so much more as they work on their homework or just want to learn and have fun while doing it. Kidblog - Safe & Simple Blogs for Your StudentsYour students have a voice at Kidblog. We're trusted by teachers around the world. Set up your class for free in 30 seconds.Teachers and students use for free through their classroom site. Kidblog offers a kid-friendly publishing experience suitable for any K-12 student. We help students focus on what's important by removing distractions so they can focus on writing. Teachers efficiently manage all posts and comments through an easy-to-use dashboard. Kidblog gives students’ writing a meaningful purpose and an authentic audience. Students are motivated to write for their peers and engage with a global network. Teachers moderate all content, so nothing goes live until you say so. ​Kiddie Records Weekly - Kiddie Records Weekly began in 2005 as a one year project dedicated to celebrating the golden age of children's records. 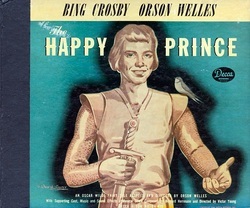 This period roughly spanned from the mid-forties through the early fifties and produced a wealth of all-time classics. Many of these recordings were extravagant Hollywood productions featuring big time celebrities and composers. Over time these lost treasures slipped off the radar and it has become our mission to give them a new lease on life by sharing them with today's generation of online listeners. NASA Kids' Club - Everything NASA for children - there are a lot of fun activities and learning sites to access. Also, you need to check out the NASA Portal for Students. NASA's Climate Kids - A part of NASA’s broader site - Global Climate Change this site involves children in learning and participating in activities related to Earth’s climate. Children can play games such as Go Green, Missions to Planet Earth, Whirlwind Disaster, Wild Weather Adventure, Migration Concentration, Earthy Word Games, and more. There are learning sections that answer the big questions such as what does global climate change mean, what’s the big deal with carbon, etc. Richly illustrated and well written, your students will enjoy reading through each of these sections. The Paleontology Portal - This site is for those children who love fossils! They have many pictures and information on different fossils that one can study to learn more about. You can also learn about the dinosaurs that could have been found in your state or any other state while exploring under the time and space page. Safe Search Engines - Do you ever worry what kids might accidentally find on the internet while doing a web search? You no longer have to worry. There are a variety of safe search engines made just for kids! Below is a list of of some awesome alternatives to Google that are dedicated to blocking inappropriate content. SchoolTube - SchoolTube.com is the nation's largest K-12 moderated video sharing platform, specifically designed for students and educators - exclusively endorsed by over twenty national education associations. Empowering students and teachers through the use of video, with a safe, informative, and fun video sharing experience. StorylineOnline.net - Great children's stories, read by famous actors who are in the Screen Actors' Guild. Since 1993, the Screen Actors Guild (SAG) Foundation has been committed to championing children's literacy. 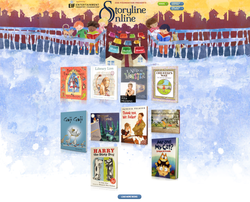 Storyline Online features professional (SAG) actors reading notable children's books and extending supplemental activities for each book co-developed by an early literacy specialist. Content is available online 24/7 free of charge -- and ultimately is intended to ensure that every child with Internet access can be read to and enjoy the benefits of a bedtime story. TIME for Kids - TIME For Kids is a weekly classroom news magazine that motivates kids to read! Issues cover a wide range of real-world topics kids love to learn about - and it's the best nonfiction text you'll find! Our Digital Editions are the perfect supplement to your TIME For Kids print subscription, and they deliver a host of exciting features to help bring TIME For Kids to life. A powerful teaching tool, TIME For Kids builds reading and writing skills and is easily integrated across your curriculum, including social studies, science and math. Trobo Curie - Trobo Curie is a storytelling robot stuffed animal for children. Trobo will read to your children, interact with them in the app, and teach them new things. Trobo was invented to help children learn in a fun and exciting way. Children have many questions and their apps they play with now on your phones and Ipads aren't teaching them the answers to these questions. ​YouTube.com/Education - Whether you're doing research for a project, need help with homework, or just want to learn something new, YouTube EDU features some of our most popular educational videos across YouTube. This channel was generated automatically by YouTube's video discovery system. To learn more about how to use YouTube check out our How To Page for more information.